Eleanor's Pantry - Fundraising Stars! 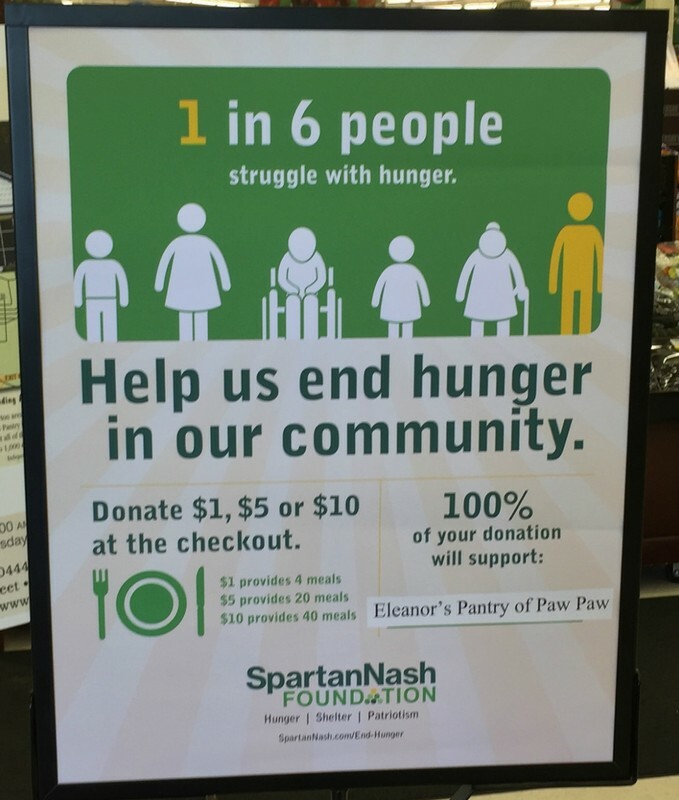 - New Family Fare Fundraiser! 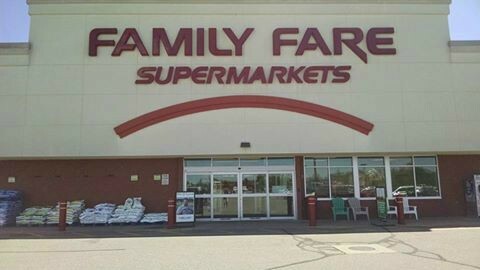 Once again, Family Fare stores are supporting their local food pantries. 2) depositing in a canister. Last year's donation was significant! We are almost ready to earn our second $1,000 from your receipts! You helped us earn our first $1,000 from Family Fare and now we're almost there to earn our second $1,000! Keep your receipts coming in to either the Pantry or any local participating church (which is almost all of them)! 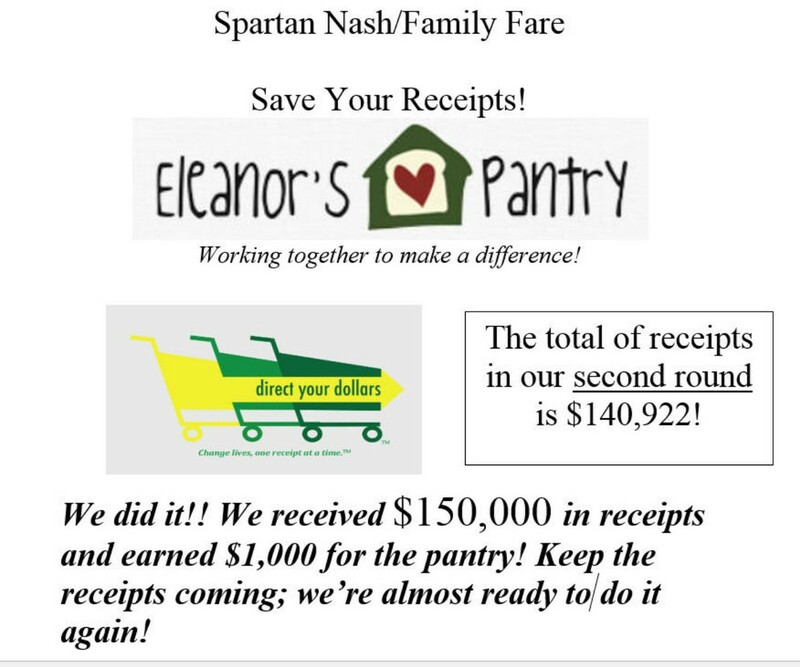 Thanks for supporting Eleanor's Pantry! Keep saving those receipts! We met our goal and Family Fare gave us $1,000! This money is exponential in that for every $1 donation, we can purchase $10 of food through our ﻿ ources. Please save your Family Fare, D & W, and Hardings receipts, because we're going to do it again! Turn receipts in at the pantry or at any local church office or business canisters! We have ONE person from each area church. 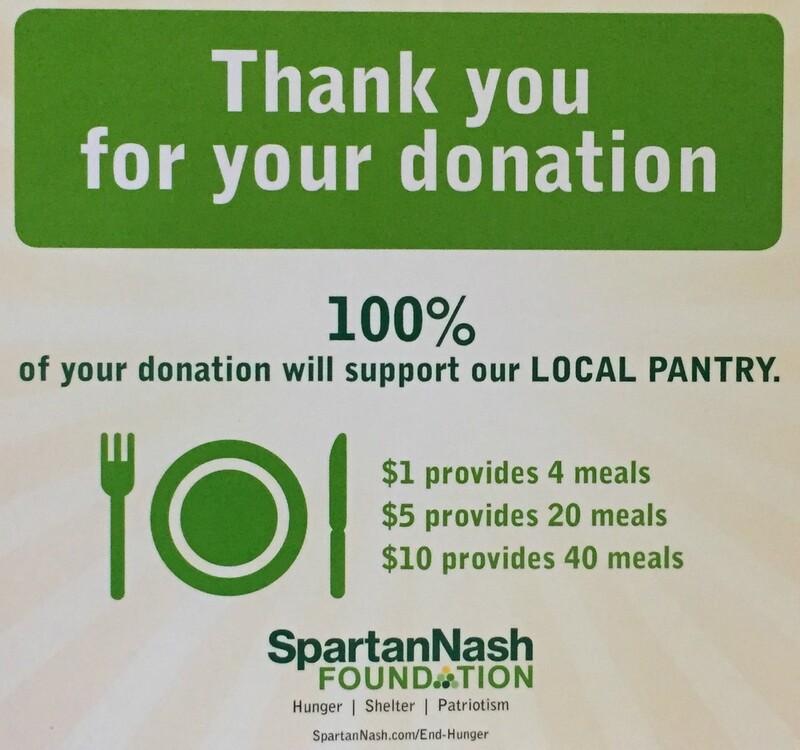 Goal: To collect a second set of $150,000 in Family Fare receipts to earn another $1,000 from Spartan Nash. Clipboard and canisters will be available in the pantry office Monday/tomorrow. with a four-day emergency supply of food. When a charity saves $150,000 in receipts they receive $1,000. We have reached out to many to save their receipts and give them to the pantry. Fortunately, there is no deadline date for reaching our goal. 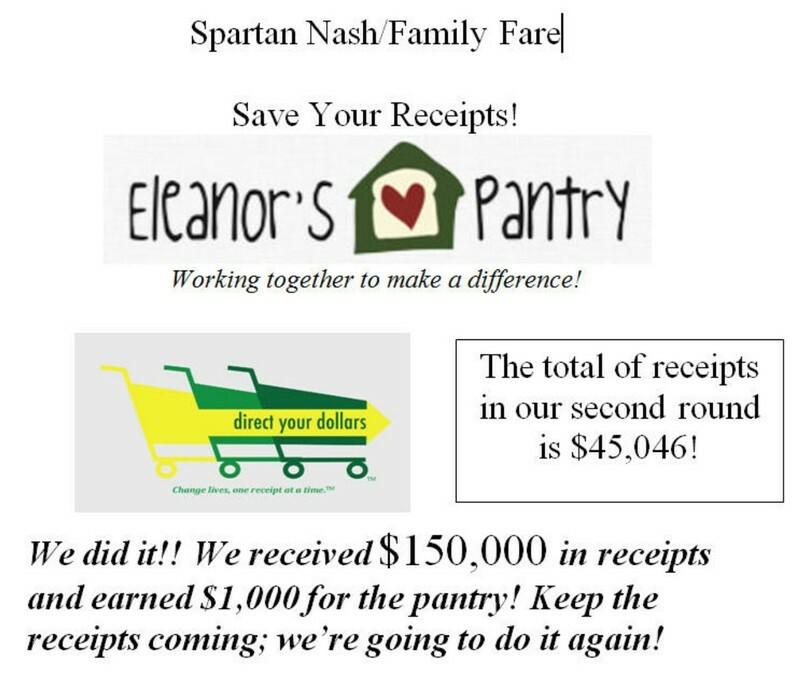 Thank you, Spartan Nash (Family Fare in Paw Paw) for helping encourage our community to support Eleanor's Pantry, our only local food pantry. 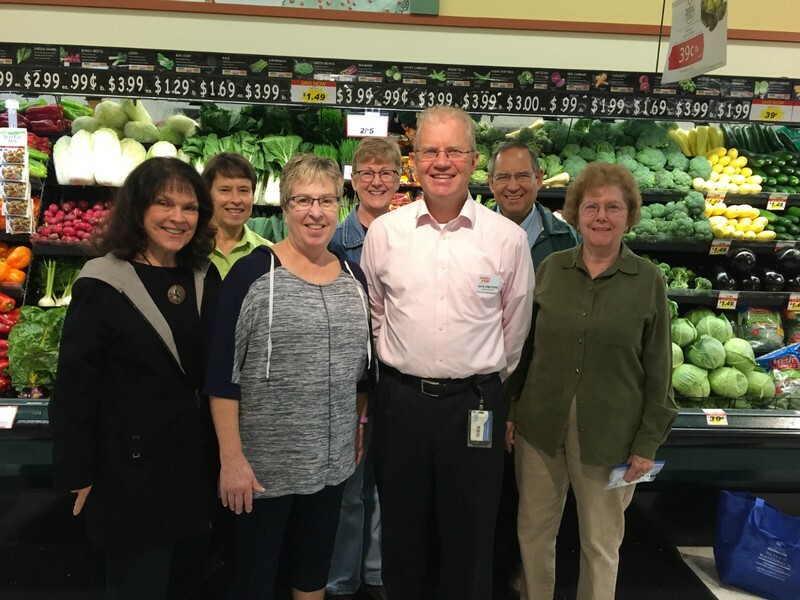 Front and Center is Kevin Armstrong, manager of Family Fare - all the others are Eleanor's Pantry Board Members. 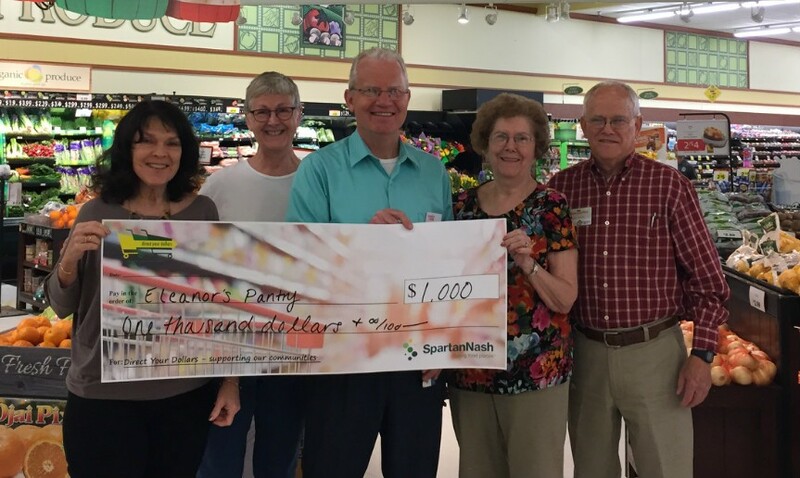 Family Fare also recently sponsored a "Retail Scan" campaign to help end hunger in local communities, raising $3600 donated by Family Fare customers for Eleanor's Pantry.